Kiwi is a strange creature. Although a bird, it’s a lot like a mammal. Some biologists even call it a honorary mammal. 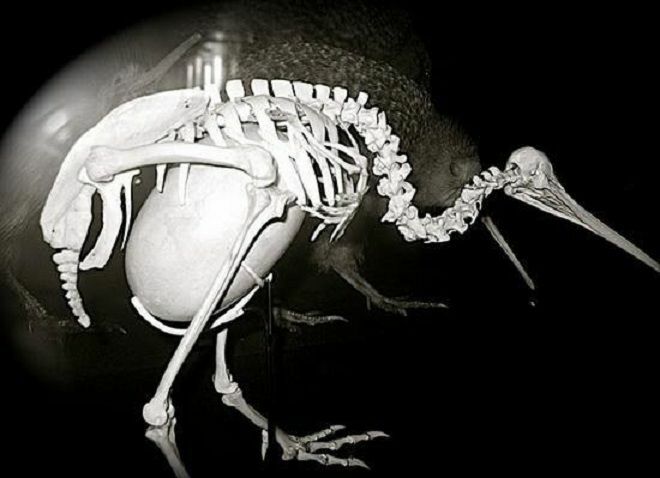 That all said, it does lay eggs like a normal bird. But the egg it lays is again strange. Strange because of its size. The weight of a kiwi’s egg is usually about quarter of its own weight. If you compare that proportion to humans, it would mean giving birth to a fully grown 4 year old kid. Or a chicken that lays an egg that weighs half a kilogram!